iPhone X pre-orders kick off Friday, October 27 at 12:01AM PT/3:01AM ET, and with heavy demand expected for this tenth anniversary iPhone, coupled with rumoured lower than expected launch supply, you’re going to need all the tips and tricks to nab one. Let’s go over some tips on how to prepare for this Friday’s iPhone X pre-order and do nothing but win, win, win. If you’re not awake for this pre-order, there’s no point in even trying. Your best bet is to set your alarm for 15-30 minutes before the pre-order start time. Lucky folks on the west coast just need to stay up late (set your alarm anyways, young parents), while those on the east coast will most likely need to wake up from a deep slumber. The Apple Store iOS app has made a name for itself as the fastest and easiest way to complete an Apple product pre-order. It’s especially easy since you can pay with Apple Pay and Touch ID, shortening the checkout process. Just click on the Account tab in the Apple Store iOS app and confirm your Primary Payment and Primary Shipping details. Then select the card you will use for Apple Pay and confirm the billing address is current. Also make sure your credit card used for Apple Pay has a limit that will handle your preorder amount. It comes down to seconds once preorders launch to get in on the first wave. To make for faster checkout, you can ‘favourite’ the iPhone X configuration you want ahead of time. 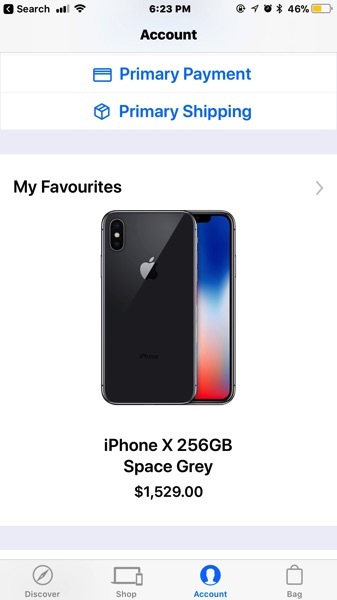 Open the app, select the iPhone X colour you desire (Silver or Space Grey) and capacity (64GB or 256GB), then tap the ‘heart’ icon in the upper left to add to favourites. From here, tap Bag and proceed to checkout. You can then pay with Apple Pay. If you’re unsure how the process will work, try purchasing an Apple accessory using the above steps to familiarize yourself with the process. Once the order goes through, you can then cancel it before it even ships. 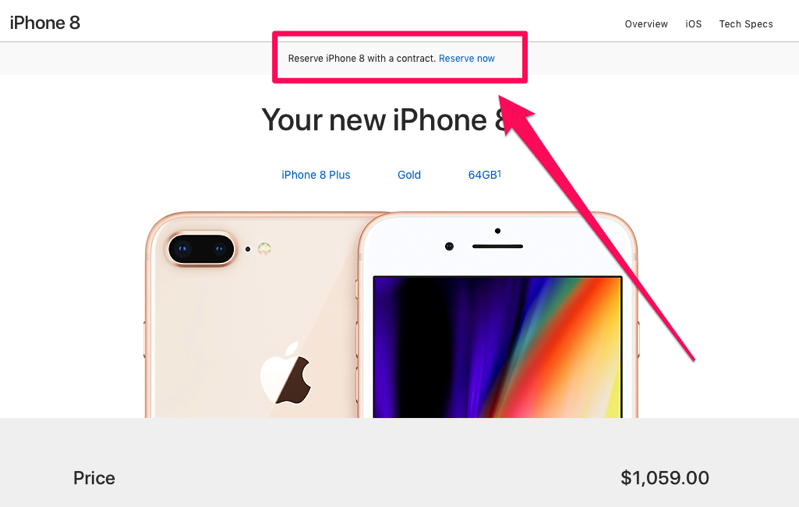 Reserve and Pick Up will allow you to either purchase outright or perform a carrier upgrade at Apple Stores. You can decide when you get there, as this is what people have been able to do in the past. On top of having your iPhone or iPad ready with the Apple Store iOS app, have a backup device ready to place preorders, such as your Mac or PC ready on Apple.ca. You can also install a browser extension that automatically refreshes the website until it goes live. Let’s be honest, pre-ordering from Rogers, Telus and Bell in the past hasn’t been that successful. With iPhone X rumoured to be in short supply, it’ll be tough to get a device on launch day, we suspect. Again, you will want to double check your Apple Pay details and add your iPhone X configuration to favourites by at least noon local time. Why? 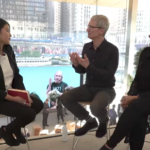 The Apple Store will go down hours ahead of preorders and you won’t get store access once that happens. If you don’t do it at lunch time you’ll forget during dinner and after it’ll be too late. Also, if you want an iPhone X on launch day, order a silver model. From our informal poll, it looks like it’ll be the ‘least’ popular. 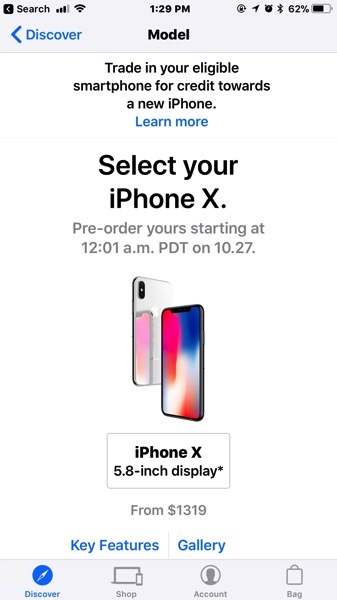 What are your iPhone X preorder tips you have to share?